For almost five years now we’ve heard about the luxury tax plan. The Yankees were planning to get under the $189M luxury tax threshold back in 2014, but when they missed the postseason in 2013, that went by the wayside. Nowadays we’re talking about the Yankees getting under the $197M luxury tax plan in 2018, and they’re in position to do it. The roster looks formidable and there is still $22M in payroll space available. By this point of the 2013-14 offseason, the Yankees had already decided to scrap the luxury tax plan and spend big. The signed Brian McCann in November, Jacoby Ellsbury and Carlos Beltran in December, and were working to sign Masahiro Tanaka in January. The decision to spend was made early, and the Yankees acted decisively. Everything is moving slower this offseason. So many top free agents have yet to sign. The next few weeks might feel like December in a “normal” offseason. The longer the top free agents remain unsigned, the greater the chance the Yankees jump in and make a surprise move. Would I call it likely? Goodness no. I think they’re dead set on getting under the luxury tax threshold. But the longer those free agents are out there, the more temptation there will be. Players could get desperate and the deals could be too good to pass up. 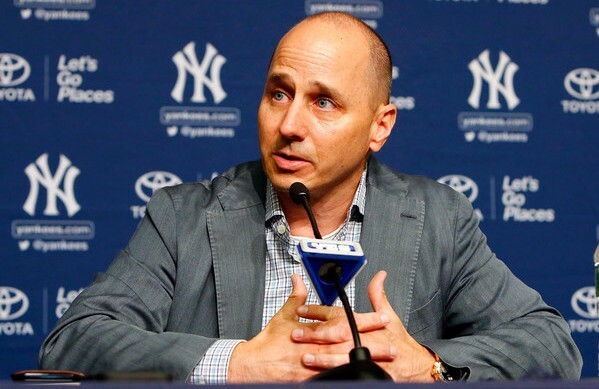 Is there a point where the Yankees would blow up the luxury tax plan? Let’s talk it out. The luxury tax threshold for this coming season is $197M. It jumps to $206M in 2019, $209M in 2020, and $210M in 2021. First-time offenders are taxed 20% for every dollar over the threshold. Second-time offenders are taxed 30%. Third-time and beyond offenders are taxed 50%. That’s where the Yankees are at right now. They’re taxed at 50%. Every dollar over the $197M threshold would be taxed at 95% — 95%! — if the Yankees ran a payroll north of $237M this season. Heck, a $218M payroll would result in a 62% tax rate. See why the luxury tax now effectively acts as a salary cap? No owner is paying those tax rates. Anyway, let’s do some quick math. This is what the luxury tax situation looks like if the Yankees get under the threshold this season, reset their tax rate, then exceed the threshold in the future by no more than $20M. I’m considering that first surtax a hard cap. 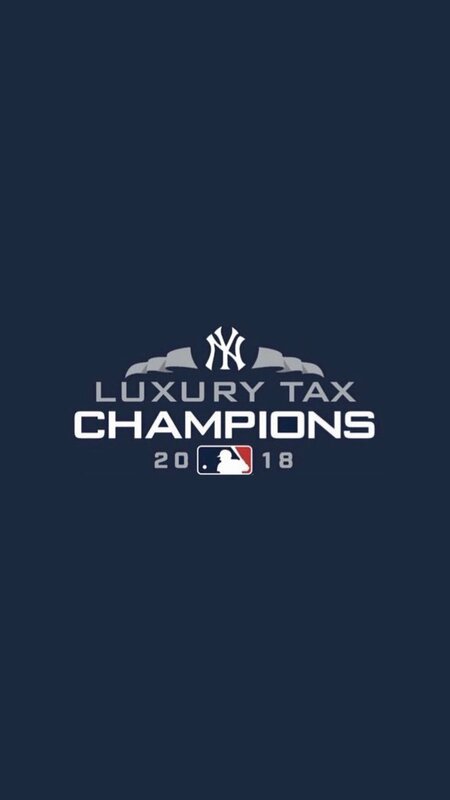 In this scenario (reset the tax rate in 2018, spend up to the first surtax threshold in future years), the Yankees would pay $20M total in luxury tax from 2018-21. They’re paying $15.7M in luxury tax for 2017 alone. Heck, they paid $27.4M in luxury tax for 2016. Now let’s look at another scenario. In this scenario the Yankees change their mind and exceed the luxury tax threshold this year. We’re going to consider that first surtax threshold a hard cap again. Nice and easy. 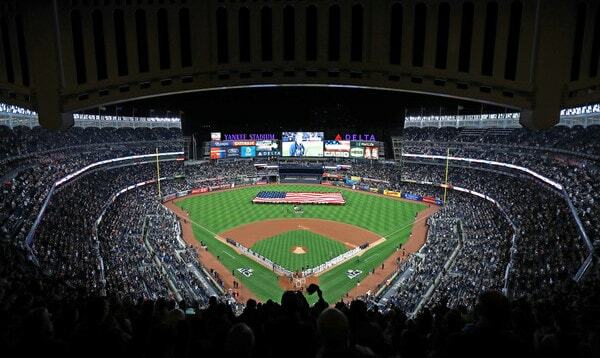 The Yankees are at the maximum 50% tax rate and they wouldn’t exceed the threshold by more than $20M in any year. That’s $10M in luxury tax per season and $40M total from 2018-21. So, in our two hypotheticals, the difference between resetting the tax rate this season and not resetting the tax rate this season is $20M in luxury tax from 2018-21, or $5M per season. Roughly the cost of a middle reliever. What’s The Rationale For Going Over? No other AL team is projected to win more than 83 games, so that’s your super early projected AL postseason field. The Astros are the class of the AL West and the Indians are the favorite in the AL Central. Not unexpected. The AL East? This completely objective computer system sees the Yankees and Red Sox as neck-and-neck right now. And that right there is potential motivation for exceeding the luxury tax threshold. 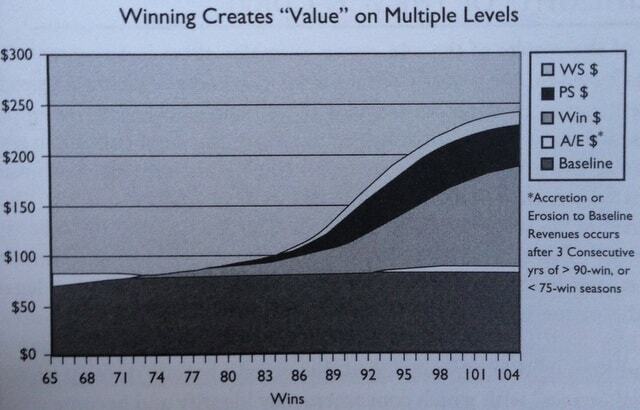 Given where they sit on the win curve, each win the Yankees (or Red Sox) add right now is enormous. Going from, say, 81 to 82 wins is nothing. That doesn’t help you much. But going from 91 to 92 wins? That could be the difference between a division title and a wild card spot. The Red Sox seem likely to add a bat some point, and if the projections are accurate (yeah, yeah, I know), that could be the difference in the division. So, long story short, the rationale for going over the luxury tax threshold this year would be improving the roster, improving the team’s chances of winning the AL East, and improving their chances of making more money as a result of winning. Imagine not going over the threshold and losing out on a division title by a game or two? Oy vey. Okay, So Who Do They Go Over The Threshold For? Let’s say Hal Steinbrenner looks at the projections and decides to scrap the luxury tax plan in an effort to win the division and the World Series. I don’t expect it to happen, but humor me for a second. Who would the Yankees add in that case? 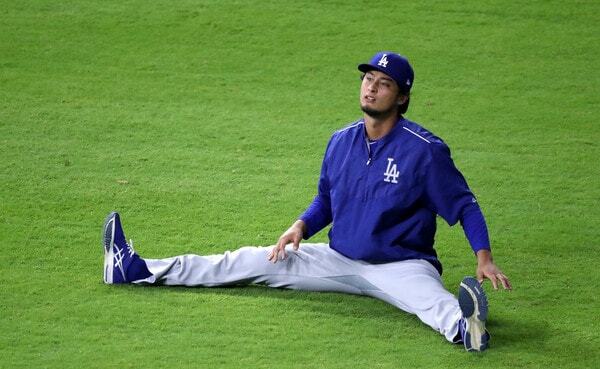 Yu Darvish is the obvious answer. 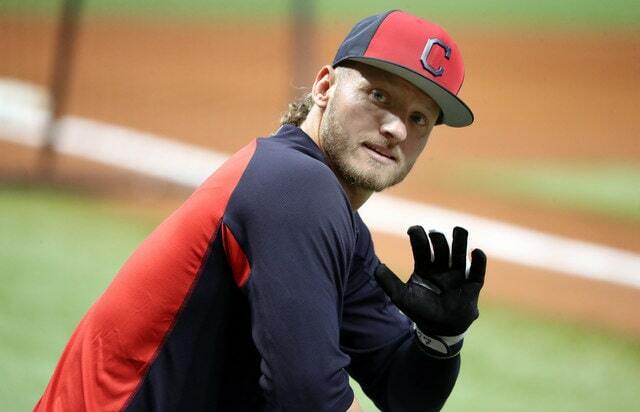 The Yankees want a high-end starter and they’ve been connected to Darvish for weeks, and he’s just sitting out there in free agency waiting for an acceptable contract offer. Given the current free agent climate, would Darvish take a four-year deal worth $100M, with an opt-out after the second year? That guarantees him a healthy payday and gives him a chance to try again in a few years if the market shifts and teams start spending again. That $25M average annual value would put the Yankees roughly $3M over the luxury tax threshold and bring a $1.5M luxury tax bill, though that doesn’t include the inevitable midseason additions. The actual tax bill be larger. Add in the midseason call-ups and whatnot and the final luxury tax bill would be … $10M? Maybe? I’m not sure. That would put the Yankees right at the $217M payroll threshold for the first surtax, so that sounds good to me. I don’t see the Yankees (or any other team) going higher than that. All told, we’re talking about the Yankees going from $197M in payouts (luxury tax plan) to $227M in payouts ($217M payroll plus $10M tax bill). It’s a difference of $30M in year one, which is significant. Then again, adding Darvish and Harrison could put the Yankees over the top and make them the AL East favorites, and more winning equals more money. Also, each team is getting a $50M payment for the sale of a majority stake in BAMTech to Disney. That’s on top of the $30M payment each team received last year for the sale of a minority stake. We’re talking about potentially spending an additional $30M total to add Darvish and Harrison at a time when the Yankees will soon be handed a $50M check. Plus they made a deep postseason run last year. Six home postseason games last year! That no doubt led to an uptick in revenue. Besides, the Yankees aren’t hurting for money anyway. I don’t need to try hard to convince fans that exceeding the luxury tax threshold would be a smart move because it’ll improve the Yankees’ chances of winning, and that would result in more revenue. There is an inflection point somewhere. There is a point where exceeding the threshold by some amount equals so much revenue in the future that the luxury tax pays for itself, if that makes sense. Convincing fans is the easy part. 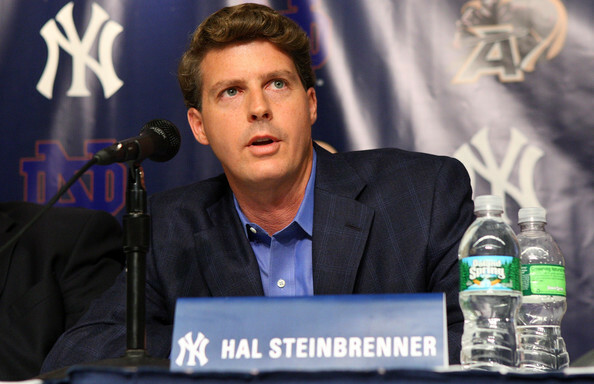 Convincing Hal Steinbrenner is the hard part. 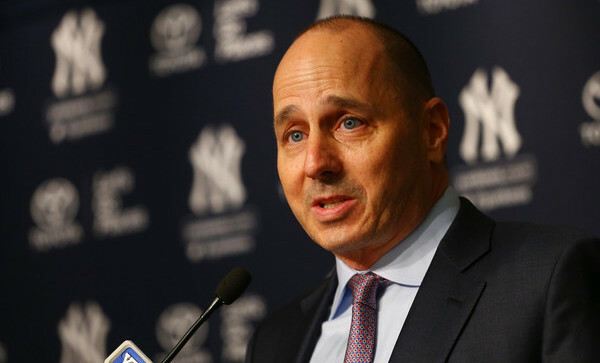 If Brian Cashman went to Hal and said he feels the Yankees should exceed the threshold, he’d have two questions to answer. Aren’t we good enough to win the AL East and the World Series without exceeding the threshold? What about the larger luxury tax bills we’d face in the future as a result of not resetting the tax rate this year? The answer is question one is probably. The Yankees are probably good enough to win the World Series this year, assuming they use their final $22M in payroll space wisely. The answer to the second question is, uh, win this year and we’ll make so much money in the future those larger luxury tax bills from 2019-21 will be a relative drop in the bucket? Not the most convincing answer. I have zero expectation of the Steinbrenners changing their mind and okaying a payroll increase in 2018. Hal has made it clear he wants to get under the threshold to save money — how many times have we heard him say, “I don’t think you need a $200M payroll to win?” — and this coming season is by far their best chance to actually do it. Whether they’ll be willing to go over the threshold in future years is another topic for another time. Right now, the focus is on getting under the $197M luxury tax threshold in 2018. More than anything, this post is intended to be a thought exercise given the luxury tax plan and the payroll situation. The Yankees figure to be good — very good in fact — though a case can be made they are not the AL East favorites. That inflection point exists somewhere. There is a dollar amount over the threshold where the potential reward exceeds the luxury tax outlay. I have no idea where that point is. The Yankees probably don’t either. There are so many variables. I don’t expect it to happen, but as long as that inflection point exists, the Yankees could change course and put an end to the luxury tax plan. According to Ronald Blum, the Yankees owe $15.7M in luxury tax for the 2017 season. It is their lowest luxury tax bill since 2011, when they owed $13.9M. The $15.7M bill is based on a $226.4M luxury tax payroll. The team’s actual payroll was $208.4M, their lowest since 2006, if you can believe that. The $15.7M luxury tax bill is down from $27.4M last year and $26M the year before. The Yankees have paid luxury tax every year since the system was put in place in 2003, and their running total is $341M in luxury tax payments. That’s a lot of money for nothing. The cost of doing business, as Scott Boras would say. As you know, the Yankees plan to get under the $197M threshold next season, which would reset their tax rate from the maximum 50% and save the team millions in the short and long-term. Our estimates put the current payroll at $172.5M. Based on that, it appears there is still some money in the banana stand for an infielder and another starter. The Dodgers were hit with a $36.7M luxury tax bill this year based on a $253.6M payroll. It is their fourth straight year paying luxury tax. The Giants ($4.1M), Tigers ($3.7M), and Nationals ($1.45M) also owe luxury tax this year. The Tigers and Giants both went 64-98 this season, tied for the worst record in baseball, yet their payrolls were so high they have to pay luxury tax. Eek. Luxury tax checks are due to the commissioner’s office by January 21st. The first $13M of the $15.7M the Yankees owe will go to player benefits. Half the remaining $2.7M goes into the league retirement fund and the other half is distributed among the 25 teams that did not pay luxury tax this year.